Despite a thunderstorm at dawn, Mayday turned out to be very sunny. 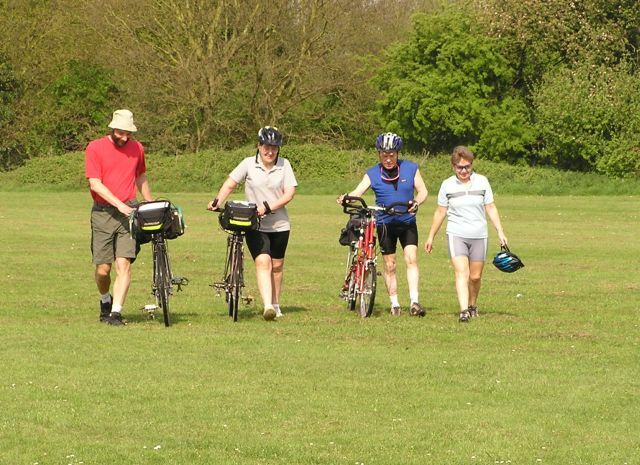 A brace of half bikes stroll out across the field with the Ashby's and their new tandem just before setting of on a ride..
Ken and Margaret Saunders's lead out a ride on their tandem trike followed by Eddie and Joan Ashby. 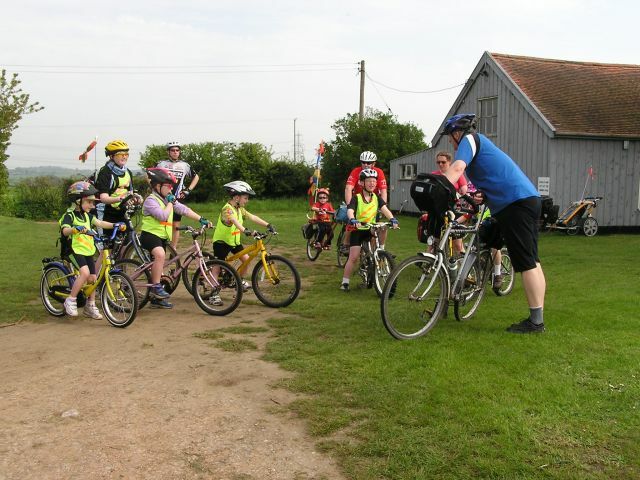 As the roads around Blaxhall are very quiet, the younger kids were allowed to ride their own bikes to Orford. Here is Chris Bowen giving the kids a briefing before setting off. Ceri-Siân and I went out on our half bikes again. Here is Ceri posing alongside the sculpture at Capel St Andrew..
Ceri-Siân riding the track towards Butley Ferry from Capel St Andrew. 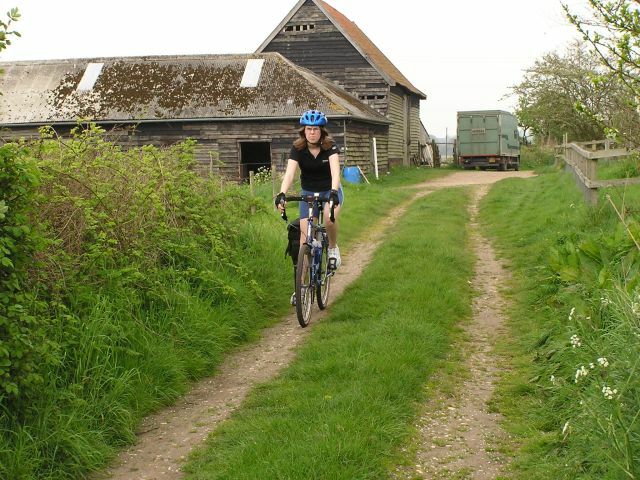 The reason for going out on half bikes - we wanted to use Butley ferry, the ferry across The Butley River, as this provided a different route to Orford we had not used before. As the ferry is small it does not take tandems. the ferry fare was £1.50 per person and the same again per bike.. 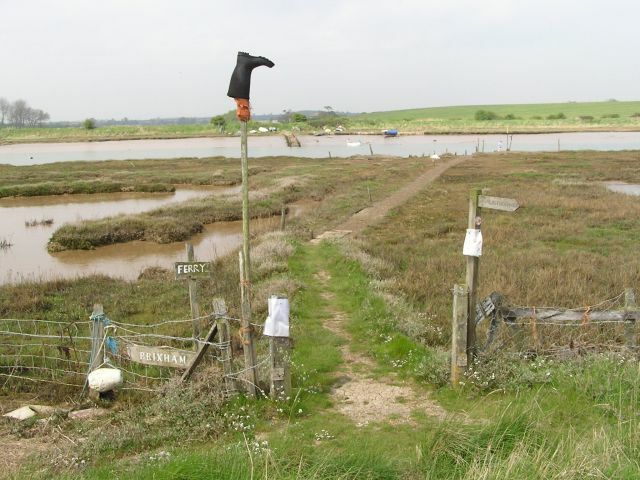 The view from the Orford side of the Butley River. In Orford we met up with the kids party for lunch. As we were starting to get lunch ready, the heavens opened for the second time that day and everybody dived into the shelter by Orford Quay. Here are the various families having their picnic lunch. I drummed up as well. After lunch the next stop for all was the toilets just up the road from the Quay. 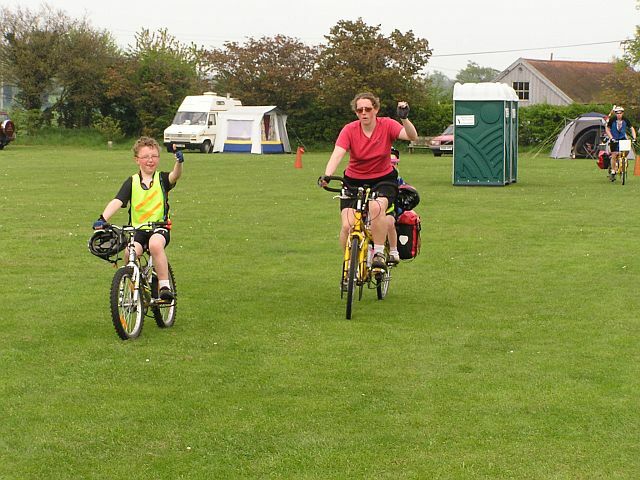 Here is Ceri-Siân leading a string of half bikes. 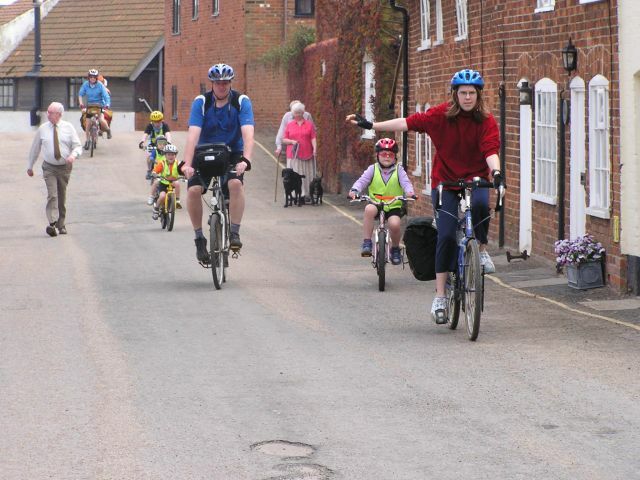 The kids party headed a more direct route back whilst Ceri-Siân and I headed back via lanes through Iken to Snape. 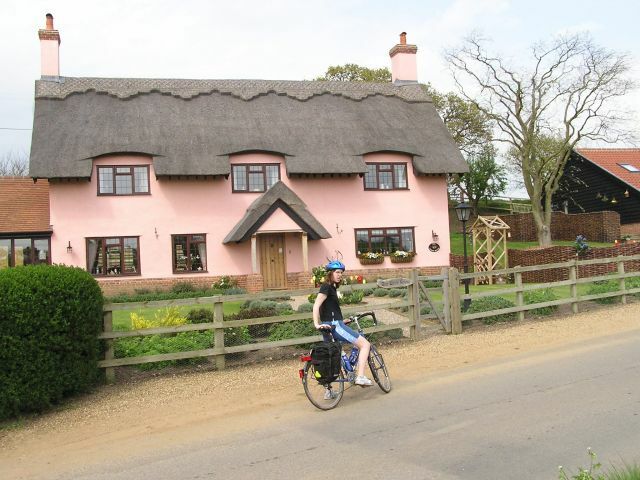 Ceri wanted a photo of this house because it is pink. I wanted a photo because of its name - "The White House". A proud Tom Sherwood arrives back at the campsite after riding all the way to Orford and back. 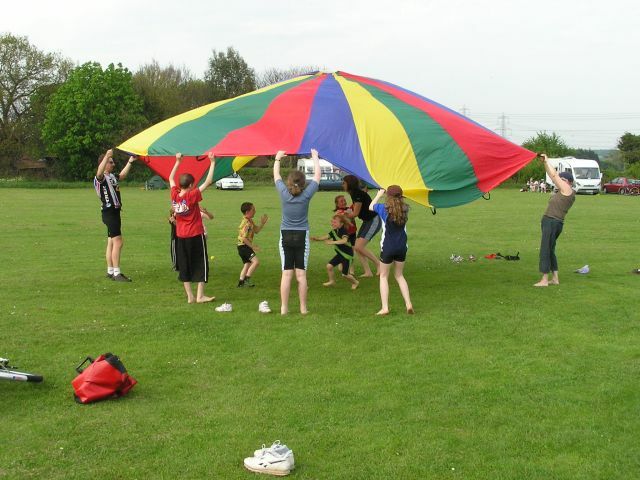 Before the tea, the parachute came out to amuse the adults and kids.